Women employees will now be able to get paid maternity leave of 26 weeks, up from 12 weeks. Every establishment with fifty or more employees will be now required provide a creche facility within a prescribed distance. Employers are bound to allow four visits a day to the creche by a woman employee. Based on the nature of work, an employer can also permit a woman to work from home after she has availed maternity leave, upon mutual consent. A female employee cannot be asked to resign from her services during the maternity leaves. It is a matter of some pride that with 6-months maternity leave, we are in the lead on this front in the world. This new maternity leave policy in India now puts it in the third place after Canada (50 weeks) and Norway (44 Weeks). The leader of the world in business (at least by the number of Fortune 500 companies !) the United States surprisingly doesn’t mandate any special benefits to be extended to a woman employee including the absence of a legally mandated maternity leave. But, have we gone too far too soon and encumbered our businesses with onerous regulations or will this encourage more women to join the workforce because we now mandate our companies to better provide for them? Will this well-intentioned step forward take us backward in our quest for workplace diversity and gender equality? One fear is that this will dissuade companies, especially smaller ones from hiring women if they can find male employees instead. Clearly, this ‘fear’ real or imagined can not stand in the way of moving forward but intentions may not come to fruition if opposed by stronger disincentives in following the dictates of the law either through non-compliance or wilful avoidance of hiring women. It certainly puts a cost burden on the companies to comply with these regulations and they might offset this ‘additional cost’ against compensation for women employees further worsening the imbalance that already exists between male and female compensation level for the same work. The benefits of diversity at the workplace, especially gender diversity, have been brought out by several studies. Organizations that are more diverse tend not only have higher productivity but also tend to be more innovative. We must do things that promote this diversity till no employer is left in any doubt on hiring women or on restricting roles to hire women in. Another area where not much progress has happened is the thinning of women going up the corporate ladder and their virtual absence from the boardrooms. This too requires us to ensure that women return to work and careers from maternity breaks. Clearly, the argument against these measures should not mean that the women must ‘sacrifice’ to make it possible for companies to hire them. But there is room for measures that will remove the obvious reactive counter logics discussed above. Two such measures merit consideration. First, allowing companies to offset any additional cost burden against their obligatory CSR spending that is now required by law. At a stretch, one might even incentivise companies to provide these benefits by giving them “greater-than-cost-offsets” something similar to the accelerated depreciation or investment allowances of yesteryears. Second, while childbirth is the exclusive biological privilege of a woman, bringing up a child isn’t so. 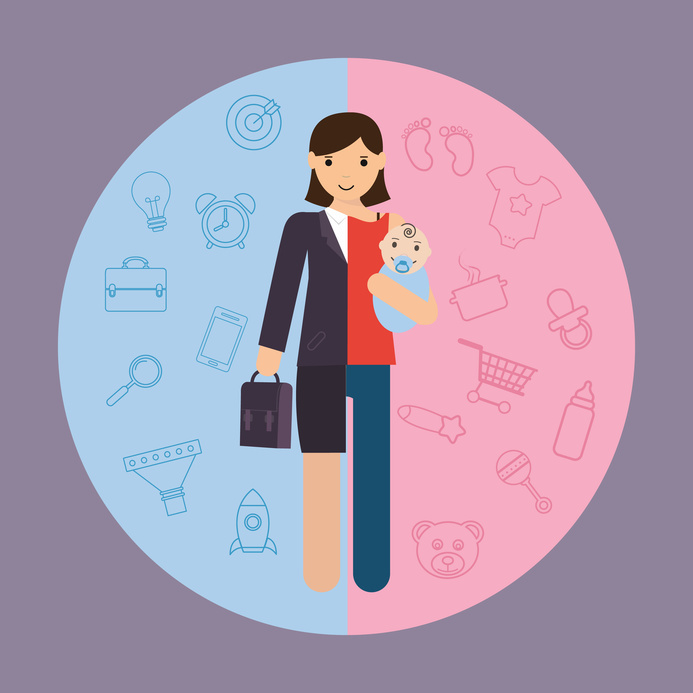 While recognizing the need for extra time to the mother, the law must also mandate similar time off to the male employees by mandating paternity leave rules too. This will remove any perceived or real incentive in hiring a man over a woman if time-off is to be given to both. While this is fair progress, there is a lot more that needs to be done to adapt the workplace to the biological role that is a woman’s exclusive privilege so that she doesn’t have to choose between the two. As a company, we pride ourselves in the gender balance we have at EmployWise and will happily embrace this change. We do hope that others too would see this as a positive move and accept these measures as a positive change. At EmployWise, we certainly hope to see more young mothers come back to work and not abandon careers after childbirth - something that is sadly very common in India and is not only a loss to the woman but a loss to the organization and the nation’s talent pool.